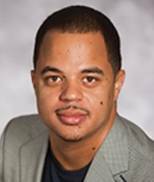 Carl Suddler is an assistant professor of African American history in the Department of History at Florida Atlantic University. As a scholar of African American history whose research interests lie at the intersections of youth, race, and crime, Suddler’s work is committed to develop better understanding of the consequences of inequity in the United States. He is the author of Presumed Criminal: Black Youth and the Justice System in Postwar New York (New York University Press, 2019) and a contributing writer for The Conversation and Bleacher Report on topics related to African American history, twentieth-century U.S. history, urban history, histories of crime and punishment, the carceral state, sport history, and histories of childhood and youth.